At GT Campbell, our technicians have the training and equipment to tackle any clogged drain. When you need fast, affordable drain cleaning in Macedon NY, depend on us! A clogged drain can really put a damper on your day. Backed up toilets, sluggish shower drains and stopped up kitchen sinks are common problems that no homeowner wants to deal with, but they’re an unfortunate reality. 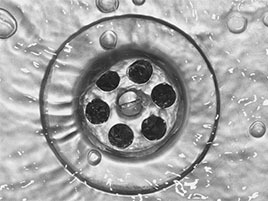 The next time you have a clogged drain, avoid the temptation to try to fix the problem yourself. The chemical drain cleaners you can buy at the hardware store are extremely dangerous and can damage your pipes. Other methods – like using a drain snake – can be messy, and you might do more harm than good if you don’t know what you’re doing. There are several reasons to invest in professional drain cleaning rather than trying to tackle the project yourself. In addition to the potential damage you can cause using chemical drain cleaners or drain cleaning equipment when you don’t have the proper training, you could be risking your safety. Clogs in sewer lines that result in sewer backups are a major health hazard. The fumes are extremely toxic, and the waste from your sewage system is full of bacteria that you should never come in contact with. Only professional plumbers are equipped to handle sewage backups. Hiring a professional plumber in Macedon for drain cleaning in Macedon NY also means that the work is guaranteed. Though you may be able to get your drain flowing freely yourself, there’s no guarantee that you’ll actually be able to eliminate the problem. When you hire a professional, though, he will ensure that the clog is completely removed and will not cause future problems. Whether you’re dealing with a simple clogged drain or a disgusting sewer backup, let a professional plumber in Macedon help. For dependable drain cleaning in Macedon, call now.